Whether you are a January dieter or a cold weather comfort‑eater our hearty and healthy menu has got you covered. Try our velvety‑smooth celeriac & apple soup, with toasted coriander seeds for spice, or enjoy classic favourite Welsh rarebit with Ford Farm Cheddar and Dijon mustard. 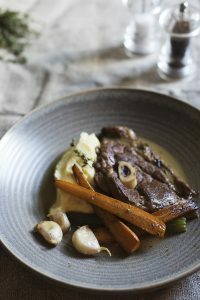 Follow this up with our rich and creamy roast pumpkin risotto with Grana cheese or fabulously slow‑cooked shoulder of lamb with garlic confit, slow‑roast vegetables and smooth mash. 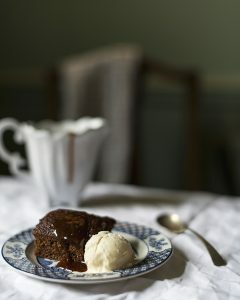 And as the perfect finish choose from delicately poached pear with caramel butter cream, sticky toffee pud or our famous ‘Madeleines’ & chocolate dipping sauce. 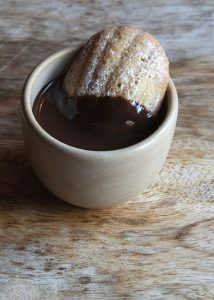 If you fancy a spot of baking this weekend, have a go at making them yourself with our recipe for Madeleines de Commercy. Pop in ‘chez nous’ and treat yourself to a well deserved break‑from‑shopping lunch, a quick après‑work bite or a pre‑theatre dinner. *Times, prices and availability vary at different brasseries. In Beaconsfield the menu is available Monday to Friday and currently Threadneedle Street do not offer this menu. Please check the webpage of your favourite location for further details.